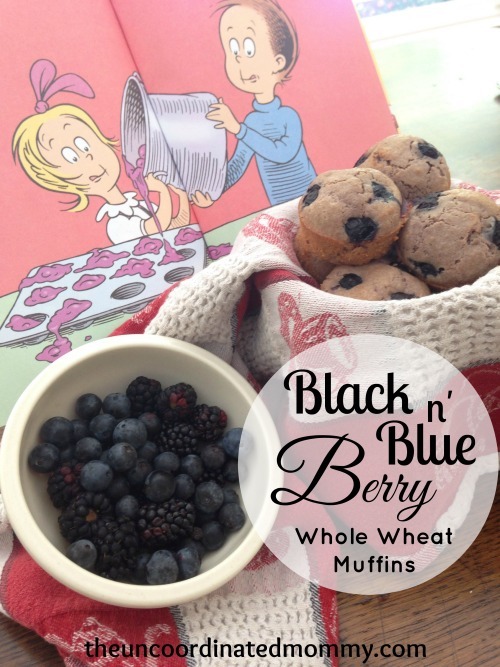 For a fun twist on a traditional breakfast food, try these Black and Blueberry Whole Wheat Muffins! 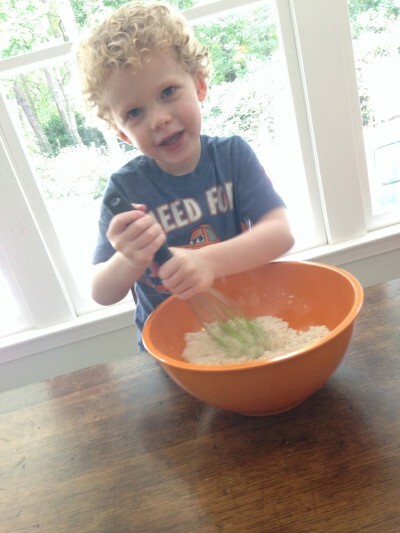 Recently the boys have been obsessed with a Cat in the Hat book called Cooking with The Cat. The Cat makes these nasty purple muffins with ham and jam and Noah has been begging me to make muffins. Seriously, he’s lucky he ate them or he might have ended up wearing them. I was wondering if I should grab my Wilton food dyes that I use for cakes when I happened to read this Parent’s magazine article on food dyes and behavioral problems. Luckily for me the third page of the article gives natural foods that you can use to dye frostings and such. So after fiddling here and there I managed to create purple Cat in the Hat muffins that the boys love! I use whole wheat pastry flour because it doesn’t have the bitterness that regular whole wheat flour does. You can find it easily at Whole Foods, I had to search a little at Publix, it was down a little from the regular flour in a smaller bag. And I use mini muffins because they are WAY less messy for little hands. I also added in the blueberries for extra yumminess and nutrition. Noah has really enjoyed helping make these as well as eat them! 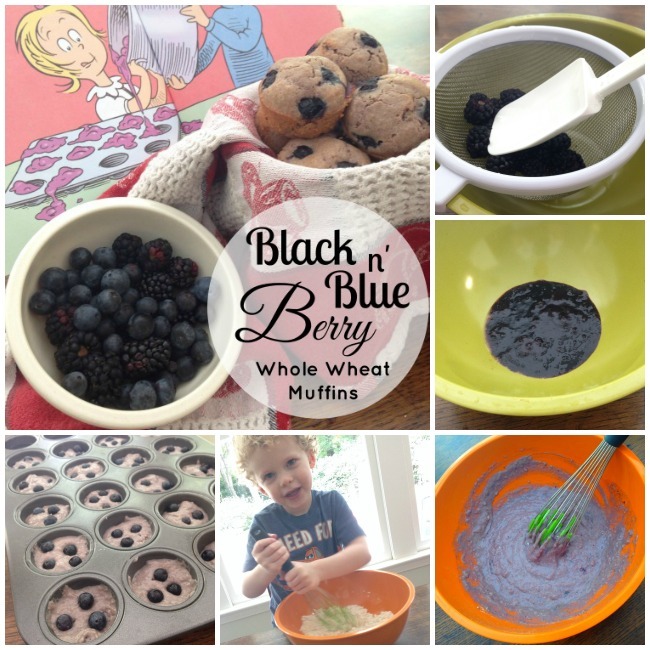 We hope you enjoy these Black and Blueberry Whole Wheat Muffins! 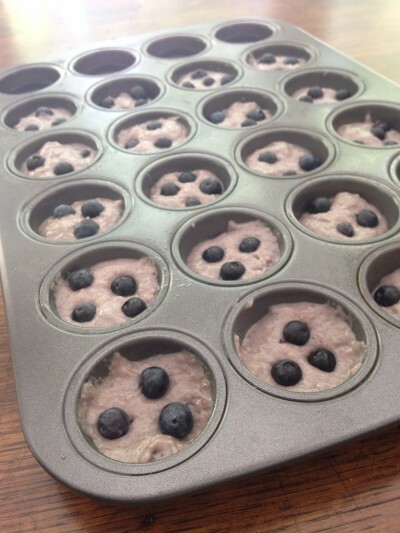 This recipe combines mashed blackberries,whole blueberries and a delicate 100% whole wheat pastry flour to create a healthy and delicious purple muffin your kids will be begging to eat. Line muffin pan with cups or spray with cooking spray. In a separate bowl combine honey, butter, egg, and milk. 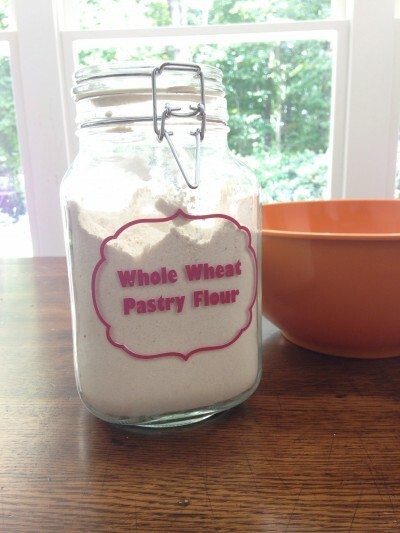 Create a well in the middle of the flour mixture. Pour the wet mixture into the well and stir just until combined. Fold in mashed blackberries until batter becomes purple. Add blueberries. Be careful not to over mix as this will make the muffins dense. Divide the batter evenly among the prepare muffin cups. Bake until golden brown, about 15 minutes for mini muffins, 20 minutes for larger. Remove muffins from the pan and cool on a wire rack. Whole wheat flour requires more time to absorb liquid. Allow batter to sit for 5 - 10 minutes. If it seems thick add 1 - 2 tbsp milk until it's easier to transfer to muffin pan. 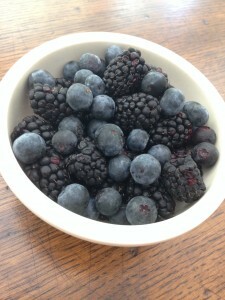 Add as much or as little mashed blackberries to achieve the shade of purple you desire. The color will fade some after cooking.